Celebrate Canadian Co-op Week with Modo! Refer a friend, check out our Seat Sale or run for our Board! $25 referral bonus, and you aren't showing any signs of slowing down! Our Grow Modo offer runs until November 21, so there's still plenty of time to refer your friends and earn some driving credits. Haven't referred anyone yet? It's simple! Log in to your Modo account and find the Referrals tab under My Account. From there, you can share your personal promo code and link with friends. 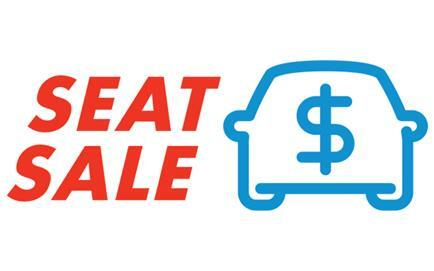 Remember — for each new member referral, you get an entry into our grand prize draw for a $1,000 carsharing credit! For full promo details, check out our website. In our fleet of 400 cars, there are several different adjustment levers and controls out there for driver seats. Farrell's put together a few tips on how to adjust your seat for a comfortable ride with Modo! While Modo members have certain parking privileges in the Lower Mainland and Victoria, they can still find themselves on the receiving end of a parking ticket. Our Office Manager, Cata, has a quick refresher on parking tickets and some tips on how to avoid them. Many members plan to hit the slopes this winter - are you one of them? Take our 4-question Quick Poll now! Save 20% off your entire booking with Modo's Seat Sale! Note: Any bookings at these specific locations during the Seat Sale period will automatically have the discount applied. 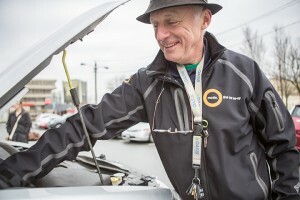 This year, Vancouver hosted the 2015 Carsharing Association Conference which saw visitors from around the globe — France, Germany, Switzerland, South Africa and more — come together and discuss not only the future of carsharing, but the future of mobility in our cities, towns and rural regions. Several Modo staff and board members attended the conference, and we've compiled a few of our thoughts and reflections on what stood out to each of us, and where we see shared mobility in the future. Canadian Co-op Week is happening this year from October 11 -17 and we feel it’s a perfect time to reflect on the seven Co-op Principles that have helped shape Modo. These guiding principles set the foundation for our vision, values and objectives. 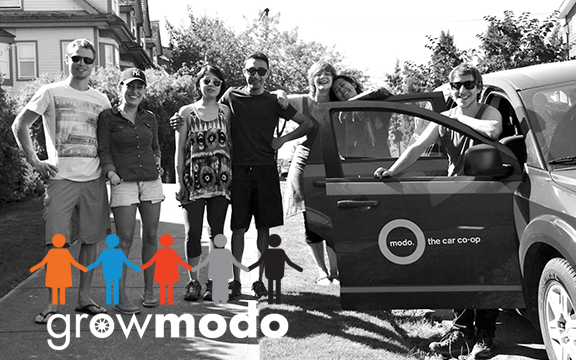 Become a leader in your carsharing co-op! We're seeking candidates for our 2016 Board of Directors. Find more information on our website. >> BOARD OF DIRECTORS We're now accepting nominations for our 2016 Board of Directors candidates! Read more on our website! >> CULTURE CRAWL This year, we have shuttles and VIP parking, plus an opportunity for Modo members who are Crawl artists to showcase their work on our website! >> COFFEE SURPRISE Did you find a bag of Salt Spring Coffee in your Modo? >> BIKE TO WORK WEEK HUB's BTWW is back on the streets from Oct 26 to Nov 1! NEW LOCATION: You'll find a 2015 red Toyota Prius C (#702) in the parking lot for Dominion Rocket, 759 Yates Street at the corner of Blanshard. Our space is in the northeast corner of the lot. NEW LOCATION: A 2015 silver Toyota Corolla (#712) lives in front of 860 Queens Avenue (Queens & Quadra), just west of Quadra Street, in residential parking. NEW LOCATION: There's now a 2015 red Nissan Versa Note (#695) at BCIT in the Westpark lot at the corner of Goard Way and Willingdon Avenue (west side), kitty corner from building SW1. CAR CHANGE: Later this week, a 2016 Kia Soul (#713) will replace the 2015 Toyota Prius C at HighGate Village. This is the first 2016 model year in our fleet! SECOND CAR: Later this week, a 2015 Toyota Prius C (#705) will join the Honda CRV at RedBrick. UPGRADE: A 2015 grey Toyota Prius V (#714) has replaced our 2009 Suzuki SX4 at Vancity North Road. NEW LOCATION: The New West SkyTrain has a 2011 silver Toyota Prius (#325) and a 2015 red Nissan Versa Note (#697) below the mall at New Westminster SkyTrain station, in stalls #85 and #86 on level P3. NEW LOCATION: Later this week, a 2016 blue Kia Rondo (#716) will arrive at a designated stall at Sapperton Triangle, on the dead-end of East Eighth Avenue, north of Sapperton Triangle Park. You can drive here via East Columbia Street or Wells Gray Place, or just walk a few steps from the corner of Eighth & Braid. NEW LOCATION & CAR MOVE: Our 2014 blue Toyota Prius C (#507) and 2014 white Nissan Frontier (#533) have moved from Surrey Central SkyTrain to New City Hall Parking Level 1 — in the underground of New City Hall, 13450 104 Avenue. Park on level P1 in stalls 58 and 65. LOCATION MOVE: As construction reaches our Aquatic Centre parking spot, we're moving our 2013 grey Ford CMAX (#490) to a new location at the UBC Bookstore. Later this week, look for our designated stall on East Mall, across from the bookstore and just south of University Boulevard. UPGRADE: We're replacing our 2011 Mazda 2 at E 6th & Commercial, with a 2015 blue Kia Soul (#708). This location is allergen-free. COMING SOON: A new location south of Kingsway between Knight & Victoria! CAR CHANGE: There's now a 2015 silver Toyota Corolla (#703) at The Hollies, instead of a 2013 Dodge Avenger. LOCATION MOVE: After several months of awkward parking at Yew & W 40th, we've found a permanent home for our 2012 orange Toyota Prius C (#388) at Kerrisdale Arena. Find it on East Boulevard, just north of W 41st Avenue and across the street from the arena. We have a designated stall in the gravel lot next to the train tracks. Our car will move here later this week. NEW LOCATION: You'll find a 2011 green Mazda 2 (#291) at Tennyson Field, on the west side of Maple Street, between W 11th and W 12th Avenue. We have a designated stall on the corner of W 11th, kitty corner from the Tennyson Elementary School field. ADDED CAR: A fourth vehicle — a 2013 blue Dodge Avenger (#448) — will be joining our Kingsgate Mall Modos! COMING SOON: A new location between 29th Avenue and Joyce SkyTrain stations! TEMPORARY VACANCY: We don't have a Keefer car for a few weeks, but stay tuned: it won't be gone for long! CAR CHANGE: A 2012 silver Dodge Grand Caravan (#396) has replaced the 2010 blue Grand Caravan at Lord Strathcona. CAR CHANGE: A 2010 blue Dodge Grand Caravan (#299) has replaced the 2011 silver Grand Caravan at the Mergatroid Building. LOCATION MOVE: We've moved our car from W 10th & Tolmie just down the street to Bellevue Towers. You can now find our 2009 grey Toyota Yaris (#250) behind 4639 W 10th Avenue, in stall #27. Enter from the alley between W 9th and W 10th. CAR CHANGE: A 2011 blue Toyota Corolla (#369) has replaced our 2009 Toyota Matrix at Troll's. Modo is proud to be the all-market sponsor of the 2014/15 Vancouver Farmers Markets and to celebrate 20 years of farm to table goodness! Celebrate the Harvest with Vancouver Farmers Markets at RIPE 2015! This dinner event will feature 10 unique culinary creation stations, craft beverages and dessert tastings artfully prepared from fresh, seasonal and sustainably harvest food. CONTEST: We're giving away a pair of RIPE 2015 tickets to a lucky Modo member! Email freestuff@modo.coop your name and member number by noon on October 13 to enter our draw. Winner chosen by random draw and notified thereafter. Early Bird registration is now open for the Modo 8k! Use the promo code MODOMEMBER and get a 10% discount on the 8k and all other Canada Running Series events! 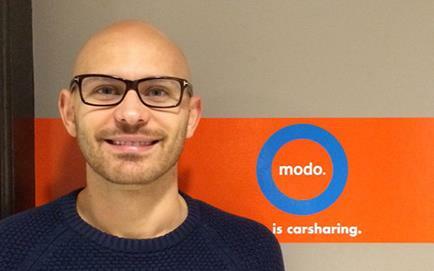 You’ve received this newsletter because you’re a friend of Modo. Want to send feedback about our newsletter? Email us.